The first 4th of July that I knew Evan, we weren’t dating just yet. One year later, we had been dating about eleven months and had no plans for the holiday. 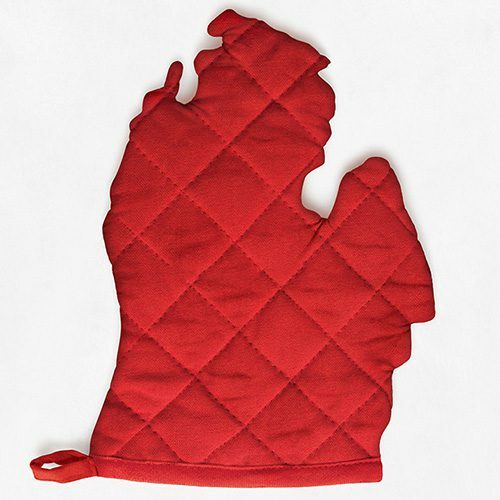 On a whim, I suggested going to Michigan to visit my hometown of Ludington for the weekend. He said yes. I found a last minute vacancy at a beach side motel. A tradition was born. I was on the lookout for something festive to share at the family BBQ on the 4th when I came across this recipe in a magazine at my vet’s office, of all places. 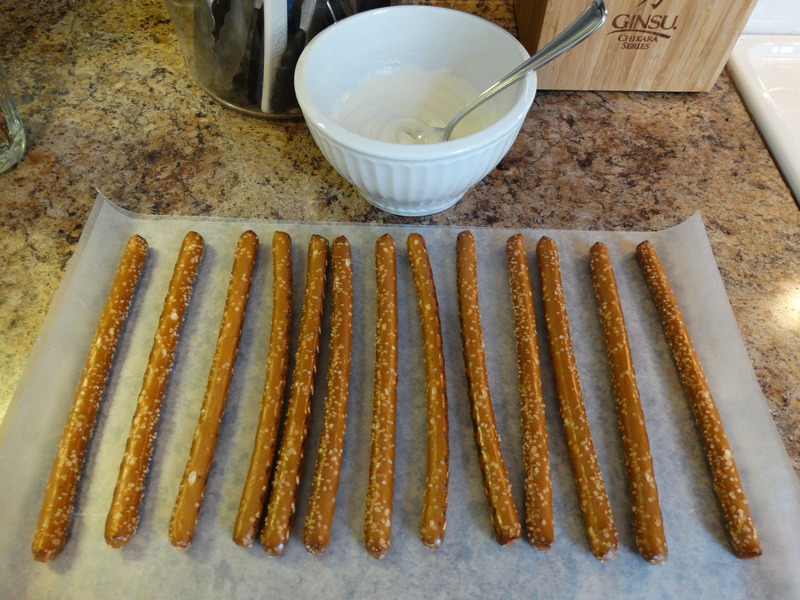 I strayed a bit from the original recipe, which called for drizzling the pretzel rods with chocolate (who knew drizzling chocolate could be so hard?! ), but my variation turned out just as delicious and fun. 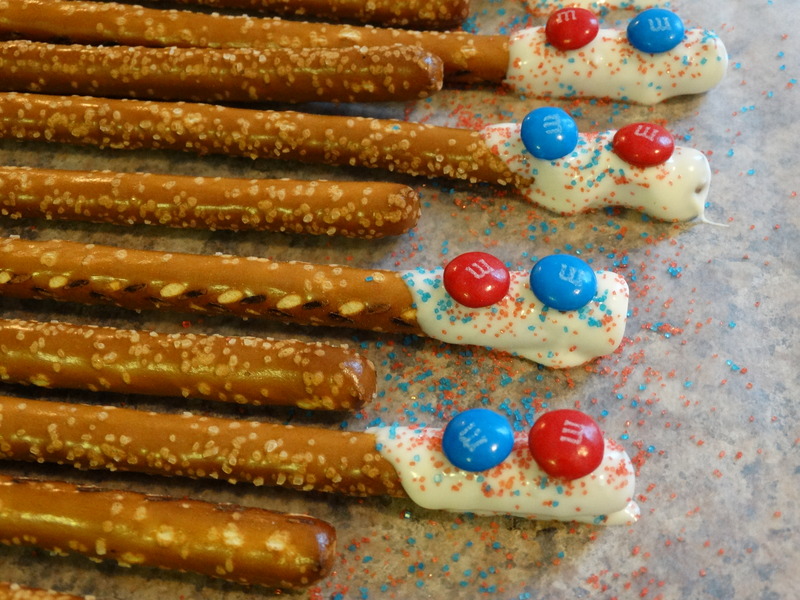 You don’t need much to make this dessert: a bag of pretzel rods, white chocolate chips, red and blue decorating crystals, and some red and blue M&M’s. You can pay a little more to buy single-color M&M’s at a party store, or you can just do what I did and pick all the blues and reds out of a regular old bag. You’ll also need a square of wax paper to put the pretzels on after you’ve dipped them in the chocolate. 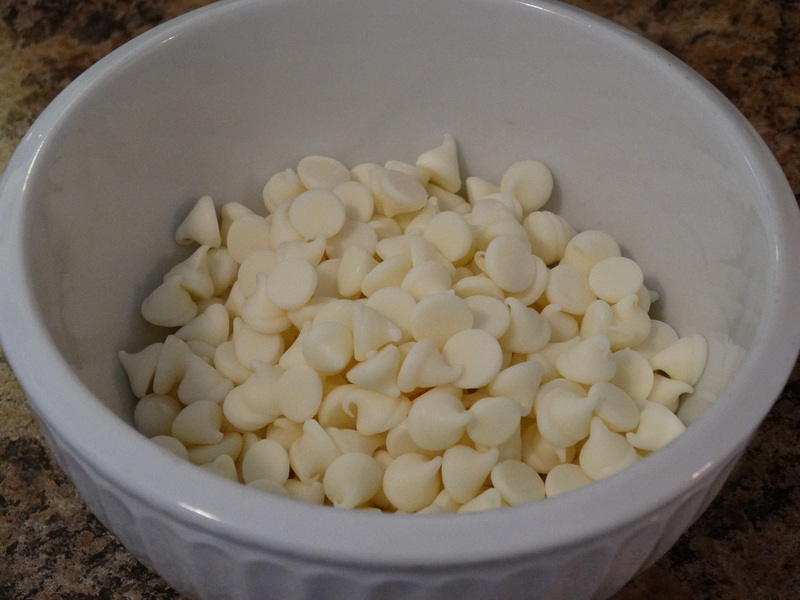 Melt your white chocolate chips in the microwave or using a double boiler according to the package directions. Dip one end of each pretzel road into the chocolate, gently tapping off any excess chocolate. 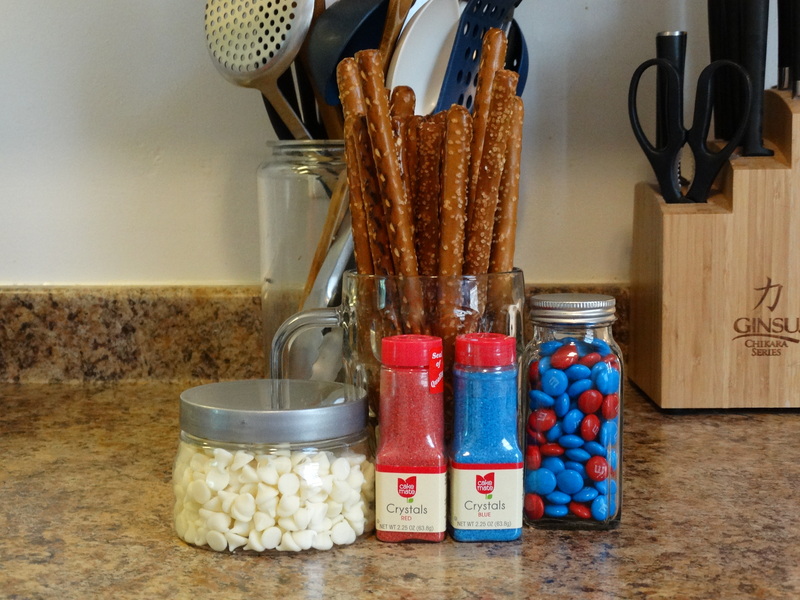 Sprinkle a bit each of the red and blue crystals onto the chocolate covered ends of your pretzels before they start to dry. Next, press one blue and one red M&M into the chocolate of each pretzel rod. They may slip off to the side a bit, but that’s okay. They will still taste amazing even if they don’t look perfect! Have a happy, safe, and delicious 4th of July! 1) Melt the white chocolate chips in the microwave or using a double boiler according to the package directions. 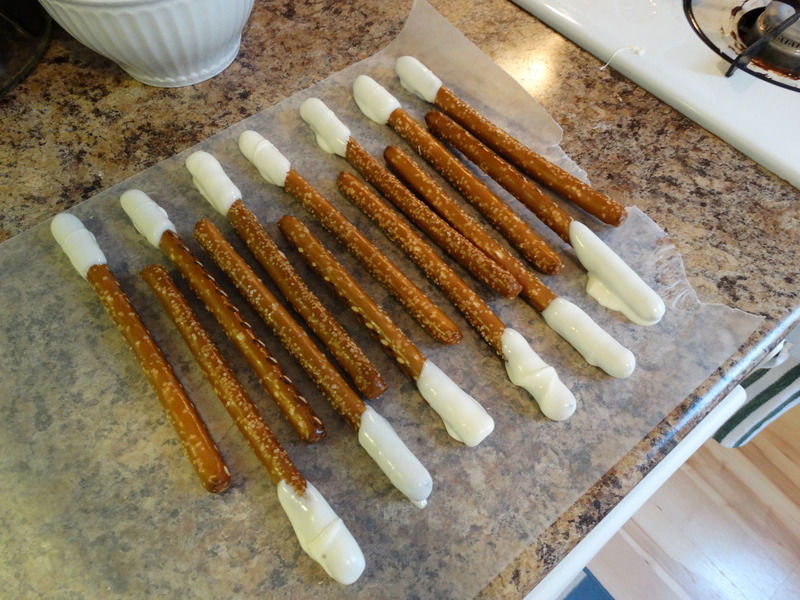 2) Dip one end of each pretzel rod in the chocolate, gently tapping it on the edge of your bowl to remove any excess. Place them on a sheet of wax paper. 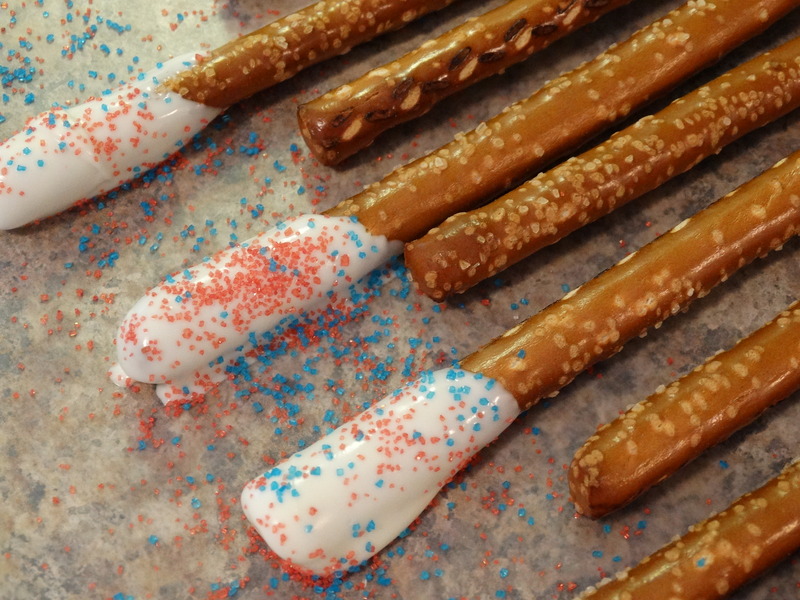 3) Sprinkle each chocolate-covered end with red and blue decorating crystals. Press one red and one blue (or more) M&M into the chocolate. Wait for the chocolate to harden and then enjoy!